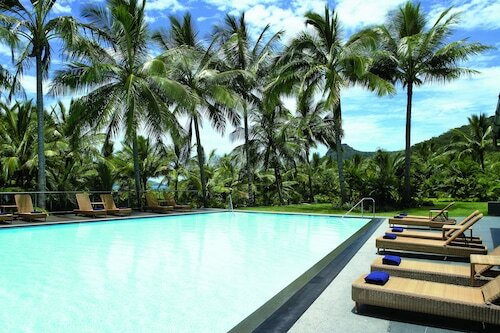 Situated by the ocean, this hotel is within 1 mi (2 km) of Cannonvale Beach and Airlie Beach Lagoon. Whitsunday Shopping Centre and Bicentennial Park are also within 15 minutes. Situated by the ocean, this apartment building is 0.2 mi (0.3 km) from Bicentennial Park and 1.7 mi (2.8 km) from Airlie Beach Lagoon. Cannonvale Beach and Whitsunday Shopping Centre are also within 10 minutes. 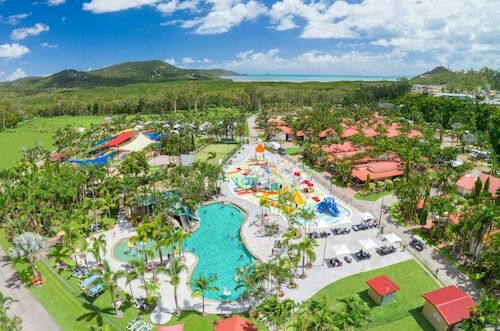 This family-friendly Cannonvale campground is within 1 mi (2 km) of Whitsunday Plaza and Conway National Park. Airlie Beach Lagoon is 3.1 mi (5 km) away. Situated in a shopping district, this motel is steps from Bicentennial Park and Whitsunday Shopping Centre. Cannonvale Beach and Abell Point Marina are also within 2 mi (3 km). 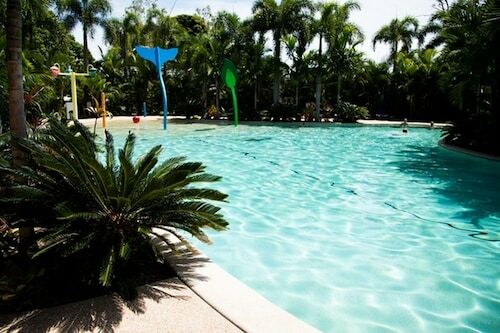 Situated in Cannonvale, this campground is within 1 mi (2 km) of Whitsunday Shopping Centre and Airlie Beach Lagoon. Cannonvale Beach and Bicentennial Park are also within 15 minutes. 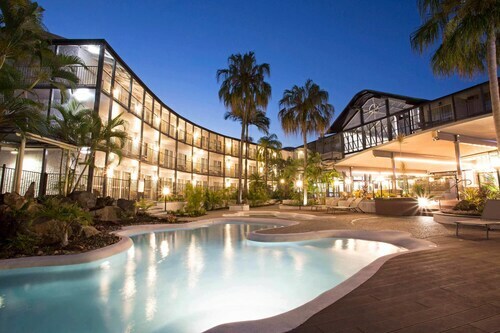 Spending your holiday in Airlie Beach? Make sure you swing through and see the Cannonvale district, situated 3 kilometres west of the main part of the city. Abell Point Marina is a delightful spot to take a low-key saunter on a nice day. 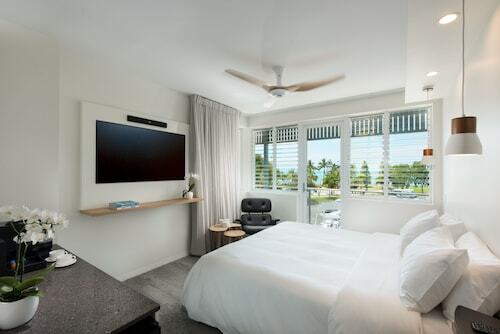 Check out the amenities at the Peninsula Airlie Beach and Island Gateway Holiday Park to stay nearby. Recharge your soul when you visit Bicentennial Park. Bring the whole family, and soak up the sunshine! Consider the Mantra Boathouse Apartments and Peppers Airlie Beach to be close to this site. 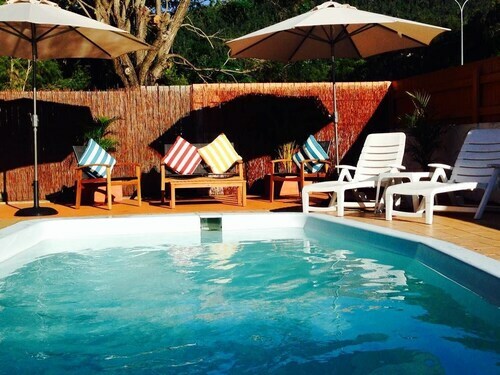 Travelling to Cannonvale on a tight budget? Get the most bang for your buck at the Seabreeze Tourist Park, where you'll find the most value in the area. At Wotif, we think that every now and then you should spoil yourself. 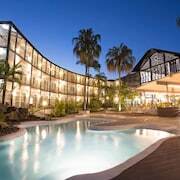 So if you're after places to stay in Cannonvale and you can spend a little more, you should have a squiz at the deals at the BIG4 Adventure Whitsunday Resort and Sailz Boutique Holiday Villas. A great Cannonvale cafe, Fat Frog Beach Cafe is certainly worth stopping by. Sit down with a newspaper, snack on a sweet piece of cake or just grab a coffee to go. If coffee and cake isn't going to cut it, go and peruse the menu at McDonalds Cannonvale. There's something for everyone at this well-patronised diner. Your evening could be ending or just getting warmed up. Either way, a few drinks at Cellarbrations - Reef Gateway Hotel couldn't hurt. 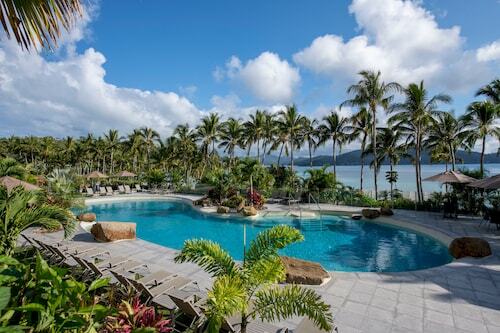 Consider staying in Airlie Beach or Flametree when planning your holiday in Cannonvale. Airlie Beach is only 3 kilometres from Cannonvale and Flametree is around 7 kilometres away from Cannonvale. It doesn't matter if you're just chasing accommodation, or the entire enchilada including flights, car rental and activities, Wotif can make Cannonvale happen for you. How Much is a Hotel Room in Cannonvale? 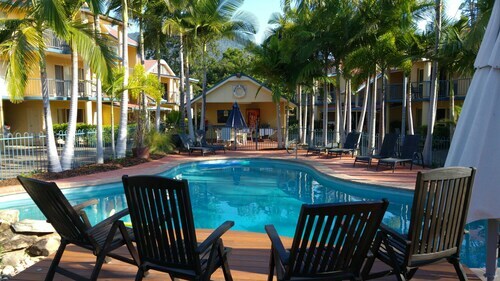 Hotels in Cannonvale start at AU$31 per night. Prices and availability subject to change. Additional terms may apply. Excellent location, neat and tidy apartment and great customer service. Can't wait to go back and highly recommend it. Excellent service, amazing view, close to catseye beach and resort centre. Loved that you could eat at different places for breakfast each day.